By 1963 the territory of Barotseland protectorate which is now called Western Province in Zambia, was administered jointly, with Northern Rhodesia protectorate by, and for British convenience for various economic and political reasons, in which case a protectorate within another protectorate occurred. Barotseland’s quest for independence was on record since 1911. It was inevitable that both nations would be free, the question was when and how so, two free and separate states named Zambia and Barotseland or one Zambia one nation. Through the BA64 one Zambia and one nation would prevail. Barotseland was not really obliged to be independent along with Northern Rhodesia. In fact it was the desire of the BRE to be independent as Barotseland, but the British at the time thought Barotseland had no sufficient economy and industrial capacity to stand alone without copper-belt. In order for the two separate nations to be awarded independence by the British, however, it would require a special agreement to replace Lewanika’s old treaties and concessions. The BA64 became that agreement. With that vehicle in place, and only then did the British feel comfortable to surrender Barotseland into the hands of a new form of government, also expected to continue facilitating Barotseland with her autonomy within Zambia to be, this time a nation within a nation, as was the case with a protectorate within a protectorate. KK assured the Litunga and the people of Barotseland to trust him and never to worry as this arrangement was not new. Dr. Kenneth Kaunda, then Prime Minister of Northern Rhodesia later addressed the Barotse National Council on 6th August 1964 concerning the Barotseland Agreement which was to come into force on 24th October 1964. Despite this assurance from KK the Litunga did not believe that KK was sincere. As a result the BNC wrote an appeal to the British government requesting to have separate independence, of which the British government was reluctant to do as it would cost them more money to deliver. Thus, encouraging Barotseland to make a deal with Northern Rhodesia was perceived cheaper for the British government, beneficial to Northern Rhodesia as it would close the copper-belt mining ownership rights issue once and for all, and would also leave Barotseland attached to Zambia like Zanzibar with Tanzania, or arrange to be like Lesotho and Swaziland in South Africa. 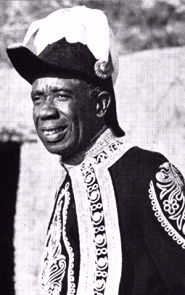 Through the efforts and influence of the Lozi elite such as Arthur Wina, Mundia Nalumino, Sipalo and others, the message of one Zambia one nation was preached as gospel truth and salvation for Barotseland and her future development. Hence many people voted for one Zambia one nation in the infamous referendum that followed later. Even though today some reliable sources allege that the elections were rigid forcing Barotseland to become part of Zambia. Whatever the case was, it was accepted and we gladly became Zambians. Soon after independence KK and his government sort to abrogate the BA64 in 1969 fulfilling the Litunga, Mwanawina Lewanika’s fears. When the local people in Barotseland protested KK declared state of emergency and arrested several activists without trial. Since KK’s time every effort to address the BA64 has met with manipulation, indifference, threats even killings by successive governments respectively. The BA64 has never been handled properly. People on blogs insult each other for nothing. Only Love, Peace and Respect for each other will help aide the process for resolving this impasse. It is now more than 47 years since Zambia became independent, but development in Barotseland is still a dream not yet fulfilled. How long will the people of Barotseland wait for the promise of development to come? Does the government understand how important Mongu/Kalabo road is to the people of Barotseland, politics aside? Are the people of Barotseland asking too much? The people of Barotseland now hope that the government of President Michael Sata which they voted in trust, which has so far demonstrated civility, consideration and willingness to dialogue, will bring this matter to a peaceful conclusion through the commission of inquiry. The whole world is watching to see how Zambian presidents keep their promises. The abrogation of the BA64 is the first born of Zambian corruption. The International community will respect Mr. Sata even more should he be transparent on this issue, unlike his predecessors. On the other hand, if KK who is still alive could advise Mr. Sata and the nation to do the right thing, KK would die with great honor.